We endeavor to give best of top notch Alcohol Detectors to recognize the Alcohol substance exhibit in the breath as far as BAC. Our extensive variety of liquor discovery gadgets are easy to understand, convenient, ideal outline with LED shows, client replaceable mouthpieces and wind stream sensors. With more than two decades of experience in the field of Industrial Safety Products, we have emerged as a respectable leader for the supply of Portable Alcohol Tester. 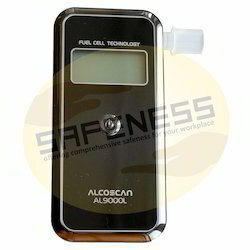 Alcoscan AL6000 is a hand-held, portable breath alcohol tester to check subject's breath alcohol concentration with reliable accuracy and it is available to test in Passive mode. An indication of Alcohol present in blood in terms of B.A.C. Our product Breath Tester was developed keeping in mind the safety of people working in manufacturing plants and indoor or outdoor work sites. New models of this Alcohol Tester keep developing to produce higher quality products without cutting corner. We are known for creating a wide range of innovative and sustainable products for the industrial markets among which Alcohol Detector stands on its design, strength and reliability. Owing to our expertise in this domain, we are providing our clients with an extreme quality range of Alcohol Detector Rechargeable. The offered detector is manufactured using the latest technology and superior quality basic material in adherence with industry norms. Our quality examiners test this detector against various quality measures so as to ensure its quality. 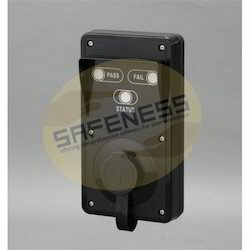 Besides, clients can avail this detector in variegated sizes, shapes and designs as per their demands. We are one of the prominent names in the industry, offering Breath Alcohol Tester and instrumental in manufacturing, exporting, retailing and supplying premium quality Alcohol Detector With Bluetooth and Memory Card. The offered detector is manufactured using the best quality basic material and innovative technology under the vigilance of our adroit professionals. Our quality examiners test this detector against different parameters so as to ensure its quality. In addition to this, we provide this detector in varied specifications and designs at industry leading rates. 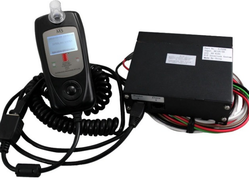 We are a well-known manufacturer, export, retail and supplier of impeccable quality Vehicle Ignition Alcohol Detection. Widely used for police, this alcohol detection is manufactured using the best quality basic material and advanced technology. The offered alcohol detection is sternly tested on different quality measures to deliver zero defect products at clients end. 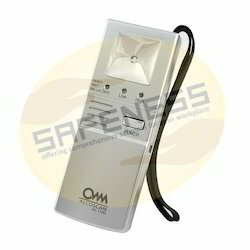 Besides, customers can avail this alcohol detection from us at a nominal price. We are long-time established manufacturer, distributor, importer and exporter of Alcohol Tester. The offered alcohol detector is manufactured in sync with industry quality standards using the finest quality basic material and progressive technology. We offer this alcohol detector from us in a variety of designs and sizes to meet the demands of our clients’. Moreover, our quality examiners test this alcohol detector against different quality parameters. Now Companies have started adopting increased safety measures since it has become mandatory to follow safety protocols. Audits for this Alcohol Detector take place to check their conformance to safety and quality standards set by government and testing bodies. We are the prominent manufacturer, supplier, trader, distributor and exporter of Fuel Cell Alcohol Tester. This Highly Sensitive Alcohol Detector allows the workers to handle hazard. Breath Alcohol Content Detector finds its application in industries like Power, Energy, Railways, Automobiles, Aviation, Engineering and Construction. Our product is well known for its convenience to use, high strength, lightweight and high durability. Our Alcohol Detector helps in protecting workers from life-threatening hazards at the workplace. Fuel Cell Alcohol Detector being light weight but sturdy offers comfort along with protection. Portable Alcohol Tester Kit is available in customised styles and colours as per customer’s demand. We have over two decades of vast industrial knowledge and experience in producing superior quality Alcohol Detector. 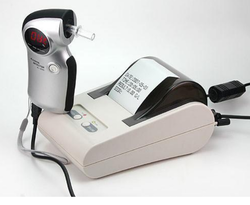 We offer extensive and comprehensive range of Portable Alcohol Detector. Breathalyzer is used in work areas which are prone to higher risk of accidents. Indication of Alcohol present in blood in terms of B.A.C. 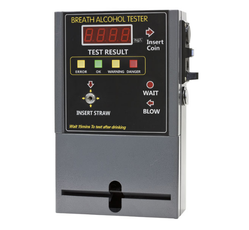 This product Breath Alcohol Tester is designed keeping in mind all innovative approaches to workforce safety and demands, made by industries worldwide. We have introduced new and advanced Alcohol Breath Sensor - IBlow10 which is based on Advanced SURACELL Fuel Cell Sensor Technolgy. 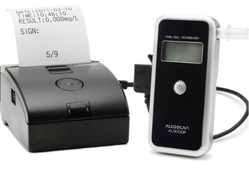 With this Alcohol Detector alcohol level of 12 persons per minute can be measured and results are also displayed in numeric as well as low- high levels. Looking for Alcohol Detectors ?